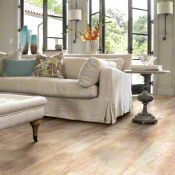 Appealing hardwood visuals and marvelous slate and stone looks are the hallmark of today’s LVT Vinyl Flooring. It simply looks like the real thing. 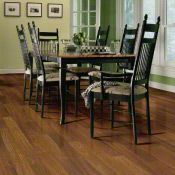 And LVT flooring is great for busy families: it installs easily, wears incredibly well, and comes in breathtaking colors and styles. High-end and fashionable, LVT’s a hot choice. LVT Flooring’s construction makes it inherently durable, but you’ll want to remember a few basics of routine care, protection, and repair. 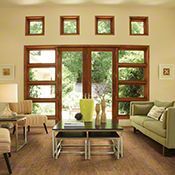 Depend on us to let you know all about these methods for keeping your LVT floor at its most attractive. We help you every step of the way after you’ve selected your new floor: professional on-site measurement, removal of old flooring, and skilled installation. We do it all expertly, so your floor will look amazing and give lasting satisfaction. Learn the particulars about LVT Vinyl Flooring installation here.